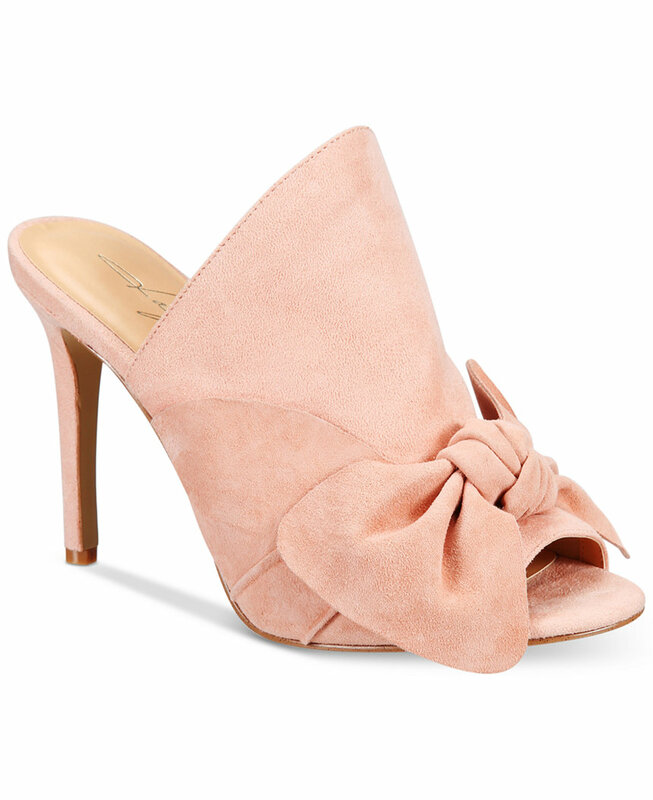 Last month we looked at mules for the first time this season. Today I thought we would step it up a notch and add my favorite detail: a bow. 40 bucks. I repeat 40 bucks. A super high heel that make an entrance. Love this chunky heel. I'd make sure my pedicure popped underneath. 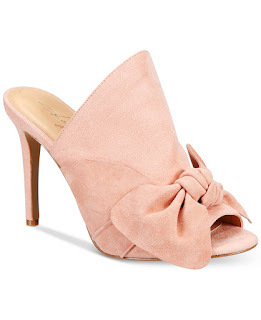 Are these heels ready for spring, or what? They also come in a light periwinkle. 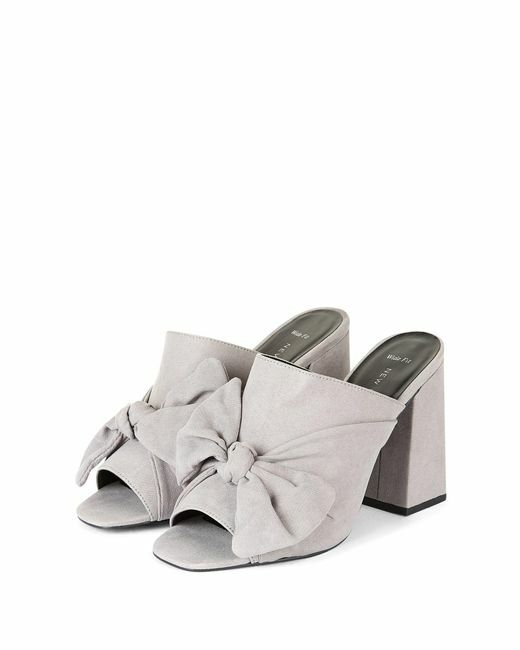 Mules can sometimes look clunky, that's why I like to add a feminine touch with a bow to really dress them up.